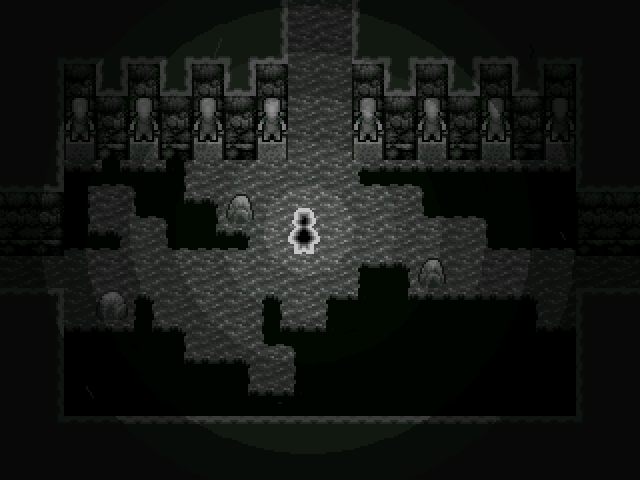 "ALONE is a short 20~ minute game created on June 7th (2015), in only 8 hours, by iddalai for the "RMN Birthday 2015" event held at 'rpgmaker.net'. It deals with frustrations you may find in internet forums, click here for a more detailed explanation, though I'd advise you try the game first. While using many RPG characteristics, it plays more like a puzzle game with trial & error and a bit of metroidvania-ish exploration. The game actually wasn't supposed to have a name, but became known as ALONE..."